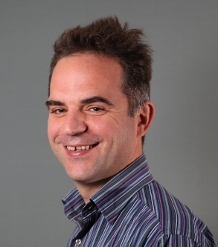 Christos Kotsogiannis is Professor of Economics at the University of Exeter, Director of the Tax Administration Research Centre (TARC), and a Research Fellow at CESifo. He was Head of the Economics Department at University of Exeter Business School from 2011-2014 and has been the President of the Management Board of the Independent Authority for Public Revenue (IAPR) of Greece since 2017. He is currently the editor of CESifo Economic Studies, and on the editorial board of the Journal of Tax Administration and Public Finance Analysis (FA). Kotsogiannis has been a visiting scholar at the International Monetary Fund and a consultant for the World Bank. He was awarded the 2015 Copernicus International Fellowship for his contributions to public economics from the University IUSS-Ferrara 1391. His current research is primarily in the fields of tax policy and tax compliance, and public economics more broadly, with publications in journals such as the American Economic Review, Journal of Public Economics, Journal of Public Economic Theory, Journal of International Economic, and Economic Policy. Professor Kotsogiannis's research interests lie in the broad area of public economics, and international trade (with a particular focus on trade-induced climate change). While his research is theoretical in nature, it is motivated by applied economics problems. the comparison between specific and ad valorem taxation in the presence of asymmetric information. Dreher A, Gehring K, Kotsogiannis C, Marchesi S (2016). Information Transmission within Federal Fiscal Architectures:. Theory and Evidence. This paper explores the role of information transmission and misaligned interests across levels of government in explaining variation in the degree of decentralization across countries. Within a two-sided incomplete information principal-agent framework, it analyzes two alternative policy-decision schemes ��decentralization� and �centralization�� when �knowledge� consists of unverifiable information and the quality of communication depends on the conflict of interests between the government levels. It is shown that, depending on which level of policy decision-making controls the degree of decentralization, the extent of misaligned interests and the relative importance of local and central government knowledge affects the optimal choice of policy-decision schemes. The empirical analysis shows that countries� choices depend on the relative importance of their private information and the results differ significantly between unitary and federal countries. Keen M, Kotsogiannis C (2014). Coordinating climate and trade policies: Pareto efficiency and the role of border tax adjustments. Journal of International Economics, 94(1), 119-128. This paper explores the role of trade instruments in globally efficient climate policies, focusing on whether or not some form of border tax adjustment (BTA) is warranted when carbon prices differ internationally. The analysis shows that, while there is no case for BTA when all instruments can be freely deployed, Pareto-efficiency does require a form of BTA when carbon taxes in some countries are constrained: its purpose then is to partly counteract the impact on emissions of inappropriate carbon pricing there, or, equivalently, to undo the trade distortions such pricing creates. The required form of BTA is generally complex, but a special case is identified in which it optimally has the simple structure envisaged in practical policy discussions. It is also shown that the efficiency case for BTA depends critically on whether climate policies are pursued by carbon taxation or by cap-and-trade. Kotsogiannis C, Serfes, K (2013). The comparison of ad valorem and specific taxation under uncertainty. Journal of Public Economic Theory, 16, 46-68. Full text. DOI. Kotsogiannis C, Serfes K (2010). Public goods and tax competition in a two-sided market. Journal of Public Economic Theory, 12(2), 281-321. Full text. DOI. Kessing SG, Konrad KA, Kotsogiannis C (2009). Federalism, weak institutions and the competition for foreign direct investment. International Tax and Public Finance, 16(1), 105-123. This paper shows that vertical fiscal inefficiencies impede federally organized countries in successfully attracting foreign direct investment. Such countries, particularly if characterized by weak institutions, are disadvantaged in the process of bidding for firms and in their ability to commit to a low overall tax burden. The interaction of these problems deteriorates their competitive position vis-A -vis unitary states in the competition for foreign direct investment. These theoretical considerations are in line with recent empirical evidence that suggests that the number of government layers of host countries has significant and sizeable negative effects on the amount of foreign direct investment inflows. Kotsogiannis C, Schwager R (2008). Accountability and fiscal equalization. Journal of Public Economics, 92(12), 2336-2349. DOI. Kotsogiannis C, Myles G, Cabral A (In Press). SELF-EMPLOYMENT INCOME GAP IN GREAT BRITAIN: HOW MUCH AND WHO?. CESifo Economic Studies Full text. Ferraresi M, Kotsogiannis C, Rizzo L (2018). Decentralization and fuel subsidies. Energy Economics, 74, 275-286. © 2018 Elsevier B.V. This paper explores the role of decentralization in explaining variation in fuel subsidies across countries. Using panel data over the period 1998-2008 and for 108 countries, it emerges that the effect of ‘decentralization’ (taken to be an increase in the number of government levels) broadly decreases both diesel and gasoline subsidies, with this effect being more pronounced when the level of political accountability is low. For developing countries, for which political accountability is low, decentralization decreases gasoline and diesel subsidies by at least 6.98% and 12.99%, respectively. For developed countries, for which political accountability is high, decentralization does not have any impact on both gasoline and diesel. What this evidence points to is that in developing economies, where voters are poorly informed and accountability is low, decentralization appears to be associated with lower fuel subsidies. Dreher A, Gehring K, Kotsogiannis C, Marchesi S (2018). Information transmission within federal fiscal architectures: theory and evidence. Oxford Economic Papers, 70(1), 243-265. This paper explores the role of information transmission and misaligned interests across levels of governments in explaining variation in the degree of decentralization across countries. We analyse two alternative policy-decision schemes—‘decentralization’ and ‘centralization’— within a two-sided incomplete information principal–agent framework. The quality of communication depends on the conflict of interests between the government levels and on which government level controls the degree of decentralization. We show that the extent of misaligned interests and the relative importance of local and central government knowledge affect the optimal choice of policy-decision schemes. Our empirical analysis confirms that countries’ choices depend on the relative importance of private information. In line with our theory the results differ significantly between unitary and federal countries. Dreher A, Gehring K, Kotsogiannis C, Marchesi S (2017). Information Transmission within Federal Fiscal Architectures: Theory and Evidence. Oxford Economic Papers, 70, 243-265. This paper explores the role of information transmission and misaligned interests across levels of government in explaining variation in the degree of decentralization across countries. Within a two-sided incomplete information principal-agent framework, it analyzes two alternative policy-decision schemes��decentralization� and �centralization��when �knowledge� consists of unverifiable information and the quality of communication depends on the conflict of interests between the government levels. It is shown that, depending on which level of policy decision-making controls the degree of decentralization, the extent of misaligned interests and the relative importance of local and central government knowledge affects the optimal choice of policy-decision schemes. The empirical analysis shows that countries� choices depend on the relative importance of their private information and the results differ significantly between unitary and federal countries. Kotsogiannis C, Serfes K (2016). Optimal performance reward, tax compliance and enforcement. Economic Theory Bulletin, 4(2), 325-345. Full text. DOI. This paper explores the role of tax instruments in affecting foreign direct investment (FDI), paying particular attention on their effect on two forms of FDI strategy, ‘horizontal’ and ‘vertical’. Applying a decomposition of FDI strategies to the universe of cross-border mergers (the dominant form of FDI) over the period 1999–2010, it emerges that taxes have a much more nuanced effect on FDI than frequently suggested; while corporate taxes affect FDI negatively, the tax elasticity varies depending on the FDI strategy (with vertical FDI being in general more responsive), the exact measure of taxation, and international tax considerations (double taxation, withholding taxes). Sales taxes also affect FDI, but only horizontally. Karakosta O, Kotsogiannis C, Lopez-Garcia MA (2014). Indirect tax harmonization and global public goods. International Tax and Public Finance, 21(1), 29-49. This paper identifies conditions under which, starting from any tax-distorting equilibrium, destination- and origin-based indirect tax-harmonizing reforms are potentially Pareto improving in the presence of global public goods. The first condition (unrequited transfers between governments) requires that transfers are designed in such a way that the marginal valuations of the global public goods are equalized, whereas the second (conditional revenue changes) requires that the change in global tax revenues, as a consequence of tax harmonization, is consistent with the under/over-provision of global public goods relative to the (modified) Samuelson rule. Under these conditions, tax harmonization results in redistributing the gains from a reduction in global deadweight loss and any changes in global tax revenues according to the Pareto principle. and this is the case independently of the tax principle in place (destination or origin). © 2012 Springer Science+Business Media, LLC. Kotsogiannis C, Woodland A (2013). Climate and international trade policies when emissions affect production possibilities. Journal of Environmental Economics and Management, 66(2), 166-184. In this paper, we develop a model of international trade and climate change in which emission discharges arising from production have a feedback effect on national production sectors by impacting upon effective factor endowments. With this context, the objectives are, first, to provide a general characterization of Pareto-efficient climate and trade policies and, second, to examine the possibility - starting from non-Pareto-efficient equilibria - for Pareto-improving environmental policies. We provide conditions under which several particular reforms of carbon taxes are welfare improving. © 2013 Elsevier Inc.
Buettner T, Kotsogiannis C (2013). Climate change: Fiscal and international trade issues-introduction. International Tax and Public Finance, 20(3), 357-359. The challenges to dealing with climate change are broad and complex. This special section reviews some of-but also brings new insights to-the challenges. © 2013 Springer Science+Business Media New York. Buettner T, Kotsogiannis C (2013). Climate change: fiscal and international trade issues-introduction. International Tax and Public Finance, 1-3. Finus M, Kotsogiannis C, McCorriston S (2013). International coordination on climate policies. Journal of Environmental Economics and Management, 66(2), 159-165. Given the current trend in global emissions, the latest round of climate change negotiations at the Durban meeting of December 2011 (for the adoption of a comprehensive global treaty on climate change mitigation as soon as possible-and no later than 2015-and to come into force in 2020) has hardly shown the results one would have hoped for. Even for the most optimistic, it remains unclear whether one can expect a successful negotiating outcome by 2015. There are inherent difficulties associated with climate change negotiations, ranging from which countries should bear most responsibility for a given emission reduction target to the assessment of a globally efficient time path for pricing harmful greenhouse gas emissions (GHGs). These difficulties become even more complex and challenging under the pervasive uncertainty of climate science and the uncertainty about the feedback loop between climate change damages and economic growth. During the past decades, the environmental economics literature has provided important insights regarding the design of environmental fiscal policies and treaties but there is a host of issues that remain relatively unexplored. For instance, we know little about the cooperative solution for carbon and trade policies when climate change affects the productive possibilities of countries. In this context, it is also not obvious whether observed policies could be improved upon in such a way that all countries gain in welfare. It remains also unclear what the carbon extraction path should be in the absence of a comprehensive treaty (such as, for example, if environmental policy is unilaterally chosen subject to an agreed 'ceiling' in global temperature). Though carbon pricing instruments like carbon taxes, cap-and-trade and hybrids have been well studied, not much is known about their properties in the presence of 'offset' schemes such as the Clean Development Mechanism. More work is also required to understand the strategic implications of the uncertainty surrounding climate change and how this affects, for example, the choice of climate change strategy ('precautionary' or 'wait and see'), how uncertainty impacts the propensity of countries to sign a climate treaty, and the extent to which the possibility of a climate catastrophe fosters or hinders cooperation. Understanding political economy issues is also vital in tackling climate change because efficient climate policies stand little chance of being successfully negotiated and implemented if they do not receive the support of the electorate. The papers in the special issue of the Journal of Environmental Economics and Management are precisely devoted to this broad research agenda. © 2013 Elsevier Inc.
Finus M, Kotsogiannis C, McCorriston S (2013). The International Dimension of Climate Change Policy. Environmental and Resource Economics, 56(2), 151-160. DOI. Finus M, Kotsogiannis C, McCorriston S (2013). The International Dimension of Climate Change Policy INTRODUCTION. ENVIRONMENTAL & RESOURCE ECONOMICS, 56(2), 151-160. Author URL. DOI. This paper explores the role of trade instruments in globally efficient climate policies, focusing on the central issue of whether some form of border tax adjustment BTA) is warranted when carbon prices differ internationally. It shows that tariff policy has a role in easing cross-country distributional concerns that can make non-uniform carbon pricing efficient, and, more particularly, that Pareto-efficiency requires a form of BTA when carbon taxes in some countries are constrained, a special case being identified in which this has the simple structure envisaged in practical policy discussions. It also stresses a point that has been overlooked in the policy debate that the efficiency case for BTA depends critically on whether climate policies are pursued by carbon taxation or by cap-and-trade. Kotsogiannis C (2010). Federal tax competition and the efficiency consequences for local taxation of revenue equalization. International Tax and Public Finance, 17(1), 1-14. Kotsogiannis C (2010). Federal tax competition and the efficiency consequences for local taxation of revenue equalization. International Tax and Public Finance, 17(1), 1-14. Full text. DOI. Kotsogiannis C, Dreher A, McCorriston S (2009). How do institutions affect corruption and the shadow economy?. International Tax and Public Finance, 16, 773-796. DOI. Kotsogiannis C, Marti nez D (2008). Ad valorem taxes and the fiscal gap in federations. , 99(3), 431-434. This paper shows that the federal government can always achieve the second-best optimum of public good provision, but a precise evaluation of the fiscal gap requires an explicit consideration of the underlying fundamentals of the federal economy. Kotsogiannis C, Martinez D (2008). Ad valorem taxes and the fiscal gap in federations. Economics Letters, 99(3), 431-434. This paper shows that the federal government can always achieve the second-best optimum of public good provision, but a precise evaluation of the fiscal gap requires an explicit consideration of the underlying fundamentals of the federal economy. (C) 2007 Elsevier B.V. All rights reserved. Herger N, Kotsogiannis C, McCorriston S (2008). Cross-border acquisitions in the global food sector. European Review of Agricultural Economics, 35(4), 563-587. Cross-border acquisitions constitute the main form of foreign direct investment in the world economy, the focus of this paper being to consider the determinants of the location and growth of cross-border acquisitions in the global food sector. The data relates to over 2,000 international acquisitions in the food sector from 45 source to 46 host countries. The results highlight the importance of market size, relative costs and stock market growth as important determinants. We also report differences involving acquisitions in food processing and retailing and higher and lower/middle income countries. Results involving acquisitions in European countries are also highlighted. Kotsogiannis C, Karkalakos S (2007). A spatial analysis of provincial corporate income tax responses: Evidence from Canada. Canadian Journal of Economics, 40(3), 782-811. Dreher A, Kotsogiannis C, McCorriston S (2007). Corruption around the world: Evidence from a structural model. Journal of Comparative Economics, 35(3), 443-466. The causes and consequences of corruption have attracted much attention in recent years by both academics and policy makers. Central in the discussion on the impact of corruption are perception -based indices. Recent research has shown that perceived corruption might not be a good indicator of actual corruption in a country. In this paper, we employ a structural equation model-that treats corruption as a latent variable that is directly related to its underlying causes and effects-to derive an index of corruption. The index of corruption is derived for approximately 100 countries over the period 1976-1997. Journal of Comparative Economics 35 (3) (2007) 443-466. ETH Zurich, KOF Swiss Economic Institute, Weinbergstrasse 35, 8092 Zurich, Switzerland; CESifo, Germany; School of Business and Economics, University of Exeter, Streatham Court, Rennes Drive, Exeter EX4 4PU, England, UK. (c) 2007 Association for Comparative Economic Studies. Published by Elsevier Inc. All rights reserved. Dreher A, Kotsogiannis C, McCorriston S (2007). Corruption around the world: Evidence from a structural model. , 35(3), 443-466. Kessing SG, Konrad KA, Kotsogiannis C (2007). Foreign direct investment and the dark side of decentralization. Economic Policy(49), 6-70. Both in the developed and developing world, decentralization of fiscal policy is frequently argued to foster investment, because allowing investors to choose between competing locations should make it difficult for each jurisdiction to tax the investment's returns. We point out that this 'horizontal' dimension of decentralization cannot eliminate ex post incentives to tax investments once they are irreversibly located in a jurisdiction, and that the negative ex ante investment effects of such 'hold up' problems are actually stronger when decentralization inevitably leads to multiple levels of taxation power in each location. Empirically, we detect significant negative effects on FDI of the 'vertical' dimension of decentralization, measured by the number of government layers, in a data set containing many countries and many suitable control variables. Indicators of overall fiscal decentralization do not appear to affect the investment climate negatively per se, but our theoretical arguments and empirical results suggest that policymakers should consider very carefully the form and degree of government decentralization if they aim at improving the investment climate. Kotsogiannis C, Kessing SG, Konrad KA (2007). Foreign direct investment and the dark side of decentralization. Economic Policy, 22(49), 5-70. DOI. Kotsogiannis C, Lopez-Garcia MA (2007). Imperfect competition, indirect tax harmonization and public goods. International Tax and Public Finance, 14(2), 135-149. This paper shows that the welfare implications of indirect tax harmonization in a two-country imperfectly competitive framework, are, in general, indeterminate in the presence of public goods: Both countries can be made either worse off or better off. This holds under both the destination and origin principles of taxation and is in sharp contrast to existing results where revenue effects are not present. A consequence of this indeterminacy is that a precise evaluation of tax-harmonizing policies under both tax regimes requires an explicit consideration of the underlying preferences for private and public goods as well as the oligopolistic sectors' relative cost structures. Kessing SG, Konrad KA, Kotsogiannis C (2006). Federal tax autonomy and the limits of cooperation. , 59(2), 317-329. Kessing SG, Konrad KA, Kotsogiannis C (2006). Federal tax autonomy and the limits of cooperation. Journal of Urban Economics, 59(2), 317-329. We consider the hold-up problem between a foreign direct investor and the government(s) in a host country with weak governmental structure and lack of power to commit. Using "Nash threats," we show that an efficient investment level can be sustained for a sufficiently high discount factor and ask whether a vertically disintegrated government structure makes collusion more or less sustainable. We show that collusion between the government and the investor is easier to sustain if the host country is vertically more integrated. or if the different vertical layers of government can commit to fixed tax-sharing rules. (c) 2005 Elsevier Inc. All rights reserved. Kotsogiannis C, Schwager R (2006). On the incentives to experiment in federations. Journal of Urban Economics, 60(3), 484-497. Conventional wisdom has it that policy innovation is better promoted in a federal rather than in a unitary system. Recent research, however, has provided theoretical evidence to the contrary: a multi-jurisdictional system is characterized-due to the existence of a horizontal information externality-by under-provision of policy innovation. This paper presents a simple model that introduces political competition for federal office and emphasizes that such competition plays an important role in shaping the incentives for experimentation. For, in this case, political actors use the innovative policies to signal ability to the electorate. This effect may offset the effect that arises from the incentive to free ride, and so a federal system may generate more innovation than a unitary one. (c) 2006 Elsevier Inc. All rights reserved. KOTSOGIANNIS C, SCHWAGER R (2006). Political Uncertainty and Policy Innovation. Journal of Public Economic Theory, 8(5), 779-805.
public policies. Copyright 2006 Blackwell Publishing, Inc. Conventional wisdom has it that outside sources of information enhance the capability of political institutions to separate selfish from benevolent incumbents. This paper investigates, in the presence of innovative public policies whose outcomes are uncertain, the role of outside information and shows that it is more involved than typically thought. While it is true that enhanced information helps in separating politicians, it also creates an externality that reduces the incentives to experiment with innovative public policies. © 2006 Blackwell Publishing, Inc.
Kotsogiannis C, Lopez-Garcia MA, Myles GD (2005). The origin principle, tax harmonization and public goods. Economics Letters, 87(2), 211-219. This paper takes up two tasks. Firstly, it shows that the conclusion drawn in Lucas (200 1) [Lucas, V. 2001, Tax harmonisation and the origin principle, Economic Letters, 71, 111-115.] regarding potential Pareto improvement in small open economies needs to be amended. Secondly, in large open economies, it verifies that some reasonable conjectures, concerning the welfare effects of a particular tax-harmonizing reform, hold under the origin-based tax system when public goods are present. (c) 2005 Elsevier B.V. All rights reserved. Keen MJ, Kotsogiannis C (2004). Tax competition in federations and the welfare consequences of decentralization. Journal of Urban Economics, 56(3), 397-407. DOI. Keen MJ, Kotsogiannis C (2004). Tax competition in federations and the welfare consequences of decentralization. , 56(3), 397-407. Kotsogiannis C, Keen MJ (2003). Leviathan and capital tax competition in federations. Journal of Public Economic Theory, 5(2), 177-199. DOI. Kotsogiannis C, Keen MJ (2002). Does federalism lead to excessively high taxes?. American Economic Review, 92(1), 363-370. DOI. Kotsogiannis C, Makris M (2002). On production efficiency in federal systems. Economics Letters, 76(2), 281-287. This paper emphasises the role of the allocation of rents, between the levels of government within a federal economy, in the achievement of production efficiency. It is shown that in a federal economy, in the absence of vertical transfers, production efficiency dictates rents should be allocated to the upper (federal) level of government. (C) 2002 Elsevier Science B.V. All rights reserved. Kotsogiannis C, Meghit C, Flevitomou M, Haliassos M (2017). Tax and Welfare Reform in Greece. In Pissarides C, Vettas N, Meghir C, Vayanos D (Eds.) Beyond Austerity Reforming the Greek Economy, MIT Press, 405-458. Dreher A, McCorriston S (2011). The impact of institutions on the shadow economy and corruption: a latent methodology approach. In (Ed) , Edward Elgar. Kotsogiannis C, Woodland A (In Press). Climate Change, Strict Pareto Improvements in Welfare and Multilateral Income Transfers. This paper explores the role of multilateral transfers in achieving strict Pareto improvements in welfare, focusing on identifying conditions under which their use is warranted when carbon prices differ internationally and there are impediments to international trade. Using a general equilibrium model of international trade with global emission externalities, it is shown that strict Pareto improvements in welfare may arise from multilateral income transfers when either trade or carbon taxes are constrained away from their Pareto optimal levels. The purpose of transfers is then to account for the impact on emissions of the trade distortions and inappropriate carbon pricing. Such transfers exist if and only if a generalized normality condition is violated. A numerical example illustrates the transfer mechanism. Kotsogiannis C, Schwager R (In Press). Fiscal Equalization and Yardstick Competition. A multi-jurisdictional system is thought to improve, through yardstick competition, accountability. At the same time equalization programs, a common feature of multijurisdictional systems, are thought to be a prerequisite for both efficiency of the internal market and the equity objective of the equal treatment of equals. This paper shows that such programs, by reducing the information context of comparisons across jurisdictions, introduce perverse fiscal incentives and thus reduce accountability. The consequence of this is that equilibrium rent-taking increases with the intensity of equalization transfers. Kotsogiannis C, Schwager R (In Press). On the Incentives to Experiment in Federations. Conventional wisdom has it that policy innovation is better promoted in a federal rather than in a unitary system. Recent research, however, has provided theoretical evidence to the contrary: a multi-jurisdictional system is characterized—due to the existence of a horizontal information externality—by under-provision of policy innovation. This paper presents a simple model that introduces political competition for federal o?ce and emphasizes that such competition plays an important role in shaping the incentives for experimentation. For, in this case, political actors use the innovative policies to signal ability to the electorate. This e?ect may o?set the e?ect that arises from the incentive to free ride, and so a federal system may generate more innovation than a unitary one. Keen M, Kotsogiannis C (2011). Coordinating Climate and Trade Policies: Pareto Efficiency and the Role of Border Tax Adjustments. This paper explores the role of trade instruments in globally efficient climate policies, focusing on the central issue of whether border tax adjustment (BTA) is warranted when carbon prices differ internationally. It shows that tariff policy has a role in easing cross-country distributional concerns that can make non-uniform carbon pricing efficient, and that Pareto-efficiency requires a form of BTA when carbon taxes in some countries are constrained, a special case being identified in which this has the simple structure envisaged in practical policy discussion. It also stresses—a point that has been overlooked in the policy debate—that the case for BTA depends critically on whether climate policies are pursued by carbon taxation or by cap-and-trade. Herger N, Kotsogiannis C, McCorriston S (2011). International Taxation and FDI Strategies: Evidence from US Cross-Border Acquisitions. While there is a well-established body of empirical research documenting the negative effect of taxation on foreign direct investment (FDI), there is scant evidence on the extent to which international tax considerations (double taxation, international tax relief stipulated in bilateral tax treaties and the effect of withholding taxes) affect the role of taxation for FDI, and how tax issues differ according to the investment strategies—‘horizontal’ and ‘vertical’—pursued by %multinational firms. This paper addresses these issues. Using data on US acquisitions over the period 1995-2005 in 18 OECD countries, it is shown that international tax relief plays a critical role in determining the impact of taxation. Regardless of the type of investment strategy, the significantly negative effect of corporate taxes disappears when accounting for the tax credits stipulated in bilateral tax treaties. It is also shown that there is considerable heterogeneity of the impact of sales taxes across investment strategies. High administrative burden to comply with taxation always reduces a country’s appeal as target for FDI. Karakosta O, Kotsogiannis C, Lopez-Garcia M-A (2009). Does Indirect Tax Harmonization Deliver Pareto Improvements in the Presence of Global Public Goods?. Does Indirect Tax Harmonization Deliver Pareto Improvements in the Presence of Global Public Goods? This paper identifies conditions under which, starting from any tax distorting equilibrium, destination- and origin-based indirect tax-harmonizing reforms are potentially Pareto improving in the presence of global public goods. The first condition (unrequited transfers between governments) requires that transfers are designed in such a way that the marginal valuations of the global public goods are equalized, whereas the second (conditional revenue changes) requires that the change in global tax revenues, as a consequence of tax harmonization, is consistent with the direction of inefficiency in global public good provision relative to the (modified) Samuelson rule. Under these conditions, tax harmonization results in redistributing the gains from a reduction in global deadweight loss and any changes in global tax revenues according to the Pareto principle. and this is the case independently of the tax principle in place (destination or origin). Kessing SG, Konrad KA, Kotsogiannis C (2009). Federalism, weak institutions and the competition for foreign direct investment. This paper shows that vertical fiscal inefficiencies impede federally organized countries in successfully attracting foreign direct investment. Such countries, particularly if characterized by weak institutions, are disadvantaged in the process of bidding for firms and in their ability to commit to a low overall tax burden. The interaction of these problems deteriorates their competitive position vis-à-vis unitary states in the competition for foreign direct investment. These theoretical considerations are in line with recent empirical evidence that suggests that the number of government layers of host countries has significant and sizeable negative effects on the amount of foreign direct investment inflows. © 2008 Springer Science+Business Media, LLC. Kotsogiannis C, Serfes K (2008). Public Goods and Tax Competition in a Two-Sided Market. A rather neglected issue in the tax competition literature is the dependence of equilibrium outcomes on the presence of firms and shoppers (two-sided markets). Making use of a model of vertical and horizontal differentiation, within which jurisdictions compete by providing public goods and levying taxes in order to attract firms and shoppers, this paper characterizes the non-cooperative equilibrium. It also evaluates the welfare implications for the jurisdictions of a popular policy of tax coordination: the imposition of a minimum tax. It is shown that the interaction of the two markets affects the intensity of tax competition and the degree of optimal vertical differentiation chosen by the competing jurisdictions. Though the non-cooperative equilibrium is, as it is typically the case, inefficient such inefficiency is mitigated by the strength of the interaction in the two markets. A minimum tax policy is shown to be effective when the strength of the interaction is weak and ineffective when it is strong. Kotsogiannis C, Schwager R (2006). Fiscal Equalization and Yardstick Competition. A multi-jurisdictional system is thought to improve, through yardstick competition, accountability. At the same time equalization programs, a common feature of multi-jurisdictional systems, are thought to be a prerequisite for both efficiency of the internal market and the equity objective of the equal treatment of equals. This paper shows that such programs, by reducing the information context of comparisons across jurisdictions, introduce perverse fiscal incentives and thus reduce accountability. The consequence of this is that equilibrium rent-taking increases with the intensity of equalization transfers. Dreher A, Kotsogiannis C, McCorriston S (2004). CORRUPTION AROUND THE WORLD: EVIDENCE FROM a STRUCTURAL MODEL.
. discussion on the impact of corruption are perception-based indices.
. no indication of how much economic loss is attributed to corruption.
. Arguably, this shortcoming is rooted in the lack of a structural model.
. cardinal index of corruption is derived for approximately 100 countries.
. percentage of GDP per capita. Public economics considers the principles and practice of tax policy. It presents the issues of incidence, excess burden and equity. It also discusses direct / indirect taxation and public good provision, addressing such questions as: are there good reasons for taxing goods at different rates?, how progressive should income tax be? and, what is the socially optimal mix between public and private goods? Economics is defined as the study of the allocation of scarce resources among alternative uses. It is simply impossible to produce everything people want, since there are not enough basic resources. Every society, therefore, must choose either explicitly or implicitly how its resources will be used. Microeconomics investigates how economic actors (individuals and firms) make decisions, and how these choices create markets. Political economy challenges the orthodox economic assumptions and, in its contemporary meaning, refers to the study of economic and political behaviour. Economic outcomes vary considerably across time and place. Political economy is concerned with explaining this variation, by studying the formation of policy in various political institutions.